Serving over 40,000 people living in and around Mission, BC the District of Mission (www.mission.ca) is a picturesque municipality located in the Fraser Valley, about an hour east of Vancouver, on the north side of the mighty Fraser River. Historically, a resource-based town with many a lumber mill, the modern Mission is a flourishing business and cultural centre. Thanks to its enviable lifestyle surrounded by spectacular mountain vistas, the district is growing fast—attracting new residents, tourists, businesses, and industries year after year. As the District of Mission has grown, so too have the demands on the people responsible for making it work. In addition to equipping approximately 280 employees, Mission’s internal IT team manages the network of the local RCMP detachment, who provides the municipality with policing, an essential service. With such a vital mandate to meet, the District of Mission’s IT operations team continually explores and invests in new technology to improve reliability, quality, and their return on investment. To stay on top of trends, Mission’s IT team typically attends the Municipal Information Systems Association (MISA) Conference. This event gives municipalities in the province an opportunity to share ideas and to discover innovative new ways of delivering services and provisioning IT services more efficiently. 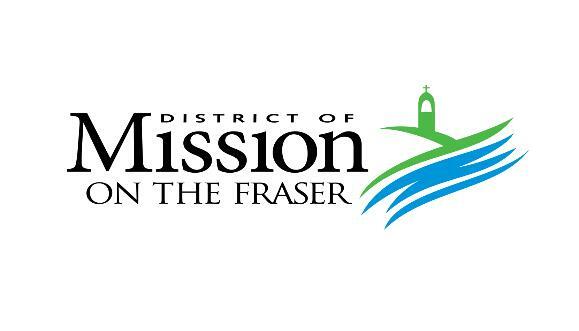 At one such conference, the District of Mission team discovered how the City of Langford—a sister city with a similar population size—used ThinkTel SIP Trunking to cut costs, ensure greater continuity/disaster recovery, and improve service. Mission’s IT team recognized an upgrade opportunity that dovetailed neatly with the district’s values and operating principles. Years prior, the municipality made the commitment to be more personable and reachable to constituents. They did not want to force people into phone trees. Instead, they wanted a “warm body” on the other end of the line to provide customer service, answer pressing questions and demands, and route calls appropriately. Behind the scenes, the Mission IT team identified a pressing need to improve their disaster recovery, including georedundancy measures. Like all traditional telephony product, their legacy PRI system provided no disaster recovery capacity or georedundancy. In the event of a catastrophic weather event such as flooding, the municipality’s phone system might go down when people absolutely needed help the most! Mission was ready for change. As they neared the end of their unfavourable carrier contract, they called in ThinkTel, a division of Distributel, Canada’s fastest growing voice network. Because of the mission critical nature of their responsibilities, the district chose to start slowly, configuring their routers with two channels to avoid disruption and provide proof of concept. Gradually, they transitioned all their telephony to ThinkTel. The ThinkTel aggregate model of SIP Trunking helped the municipality consolidate telephone capacity requirements across multiple locations and add layers of redundancy. Mission went from a limit of 23 channels, busy signals, and paying for extra capacity—to sharing a limitless pool of capacity and achieving dramatic savings. Mission now empowers their employees with an end-to-end Cisco collaboration solution. Employees use Cisco desktop phones as well as Cisco Jabber, which enables instant messaging, voice, video, desktop sharing, conferencing, and presence. District employees can use Jabber to route phone calls to their cell phones, without pushing that traffic to the cellular network or giving out their cell phone number. The District of Mission IT team relies on Cisco’s call manager and internal voice system as well as ThinkTel uControl, which allows them to monitor and administer their service plus provision numbers themselves, 7/24/365, at no additional cost. Cisco Cube routers provide for a robust disaster recovery configuration. 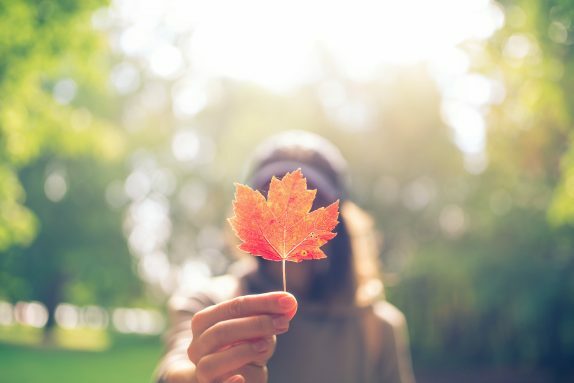 Because SIP trunking uses a data network connection, the municipality is no longer at the mercy of local power outages. Their trunks can reroute and keep functioning. As a ThinkTel SIP Trunking customer, Mission only pays for their average capacity. When busy days and seasons occur, they access extra capacity with channel bursting. Customers can view their historical usage through the uControl portal and adjust their subscription based on an educated decision. Additionally, the ThinkTel solution allows for multiple layers of redundancy at no extra cost. All told, the District of Mission went from spending $8,530 per month to $4,400 per month - reducing their monthly costs by 49% percent! Instead of getting locked into rigid, one-sided service contracts, Mission can now dynamically adjust their subscription based on their capacity. Their service agreement does not lock them into a set number of channels. They can monitor and adjust volumes. And they can provision new local numbers in real time, without submitting tickets or paying MACD fees. The municipality has more upgrades in mind. The IT team is considering if standalone wireline commitments (B1 type phone lines) of any kind makes sense, including for 911 services. B1 lines are very expensive, so converting those lines to the same network as their other calls holds a lot of appeal. In other words, they expect to realize even more savings as they integrate all of their telephony into one VOIP solution from ThinkTel. Cost-efficiency → the district went from spending $8,530 per month to $4,400 er month— reducing their monthly costs by 49 percent! Safety first! By preparing for the worst, the District of Mission has ensured that they can help their constituents when they need it the most. What’s your disaster recovery plan? Stay current. By attending the MISA conference and staying on top of technology trends and innovations, the district’s IT team identified a great opportunity to upgrade. SIP Trunking works! It’s good to be skeptical about new technology and services, but the evidence speaks for itself: SIP Trunking can help you launch your digital transformation! Not all voice providers are created equally! We’ve become Canada’s biggest and best voice partner through specialization and experience. Best-in-class → First-to-market with SIP services in Canada, ThinkTel is the voice partner of choice to Fortune 100’s, governments, and institutions. Global coverage → Other providers may sell you a SIP for each city you want to be in, which adds up fast! ThinkTel gives you one SIP for the world. Pays-as-you-go → Unlike some services that lock you into static prices, with ThinkTel, you only pay for you what you use. The cost scales to your needs. SureCall -> Ensure 100% business continuity with the ultimate failover system. Managed manually or automatically, SureCall comes free with our services. Technology → Highly-redundant national voice network. Supports multiple network paths/carriers and up to eight simultaneous IP gateways. Quality assurance → To ensure an exceptional experience, we test the hardware you need for SIP trunking in our lab before we deploy it. Compatibility → ThinkTel works with the world’s top IP PBX technologies. We are certified in 30+ OEM brands, including Microsoft, Cisco, etc. Customer-centricity → We work with you to deploy a SIP service that fits your unique needs and size and leverages your current capabilities. Agility → Whether your organization is growing or streamlining, unifying your communication in the cloud gives you the flexibility you need to scale. Expertise → We’ve earned our place as a voice leader through thousands of successful deployments. We appreciate just how complex the challenges get!